When it comes to marketing yourself or your business through social media, you want to know how successful these efforts are. If you spend hours promoting your site and engaging your audience, you will want to know how effectively your campaign is working. While we all wish that there was one easy way to measure social media it can be sometimes a tricky and complicated process. Ultimately measuring social media success will vary depending on your business and individual goals. If you use social media networking to your advantage, it is highly likely that it can boost sales, your reputation and generate traffic to your company. Individuals and businesses want to work with others that appeal to them and that they know they can trust. Not only can you use social media to reach out to more individuals about your brand, but it can help you to build a better connection with those who are looking to get to know your business better. After all reputation online is a key factor in sales. Here, you will find some easy tips to measure social media and monitor how effective your business’s social media marketing is. The number of shares, retweets, likes and comments your content is receiving through the social media networks that you use. The posts or articles that are proving to be most popular and the kind of traffic towards your website that is being generated from the content that you post. How well you are using keywords and phrases to increase your ranking in search engines so that your business can be found more easily. How often your content is being shared through other prominent websites, blogs and publications. The amount of growing subscribers to your email list and other social media accounts. How many followers you have on different social networks. Your numbers should be growing at a steady rate. The engagement level you have with customers. The amount of positive relationships and connections you can make with other leaders and influential people in your field. The number of people that are promoting you and recommending you through shares and retweets via Twitter, Facebook, Instagram, and other networks. How visible and influential your brand is. Is your social media presence leading to opportunities outside of these networks such as public speaking events and more in person presentations? Are you getting more requests for interviews and statements from journalists and bloggers? Are you receiving more PR opportunities in general? In addition to what you’re able to do to monitor your success on your own, there are a number of social media tools that you can use to help you track your business’s social media activity and marketing success. 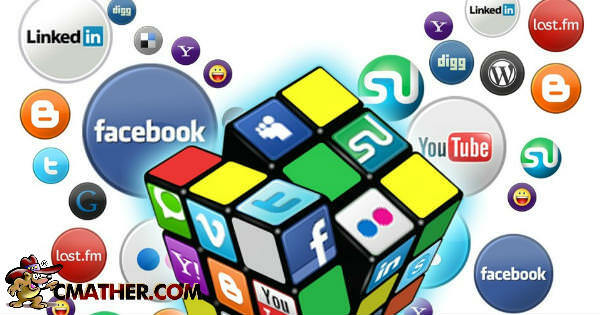 Social media can be a tricky marketing area. For small business, sometimes the unknown can scare potential owners from promoting on social media and having an active presence. Did you know most social media gurus are self-taught and have no formal qualification? The best way is with trial and error. Measure social media success as well as your failures to see what works best for your business. If you ever require help or free advice on any social media platform, please contact us for tips on promoting your business.